A spokeswoman said that a mystery phone caller offering free plays has no affiliation to the National Lottery. 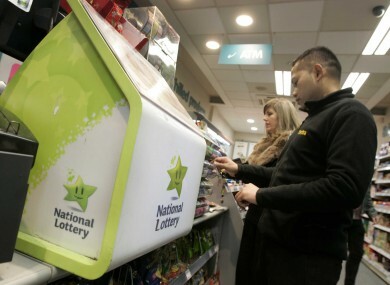 NATIONAL LOTTERY HAS this evening warned players not to fall for the actions of a suspected con artist who is pretending to offer them free plays in the Euromillions. A number of people had contacted Lotto HQ in recent weeks to inquire about the offer they had received. Many people were called from a Dublin number and were being offered a free play in the Euromillions. A spokeswoman said that this person has no affiliation to the National Lottery. Email “National Lottery issues warning over 'Euromillions scam'”. Feedback on “National Lottery issues warning over 'Euromillions scam'”.